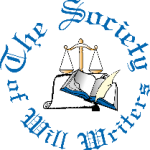 Beneficial Trust and Will Company are long established full members of the The Society of Will Writers (SWW), the UK's leading will writing self-regulatory body. We adhere to their code of practice ensuring our products and services are fair and transparent and support the end client as well as advisers. Our membership with the SWW also allows our members the opportunity to become an affiliated member of the Society should they wish to do so for a small annual fee. We are proud to be full members of The Institute of Professional Willwriters (IPW) working to their highest standards and to a strict code of conduct for ethical and professional services. Our knowledge and skills are checked regularly to ensure we continue to provide an outstanding and trusted service. Our team work hard to ensure we provide a trusted and valued range of products and services both to you and your clients and our membership with the SWW and IPW is confirmation of our commitment to Will writing, our members and the customer. All of our services are protected by professional indemnity cover up to £2 million per document and your clients' instructions will be managed by our professional will drafters who are fully accredited by the Society of Will Writers. Becoming a trusted partner of RAFA is no mean feat and one that we take very seriously and are extremely proud of. We work hard to support the partnership and their members and ensure we continue to meet their needs. BTWC are also proud to support our Armed Forces by signing their Covenant. In doing this, we pledge to support members of the Armed Forces community in providing a service which follows best practice and provides dedicated support. BTWC are pleased to announce their partnership with Certainty, the National Will Register. Certainty is endorsed by the Law Society as the provider of the National Will Register and Will Search service. BTWC are proud to be joining many charities, solicitors and financial institutions in recommending this service to clients for ensuring a Will can always be found, even decades after it has been made. All Wills provided by BTWC will be registered for free with Certainty - another reason to use our Will Writing service for your clients. We are proud to have committed to the Lincoln Social Responsibility Charter. As a long-standing business in the City of Lincoln, signing up to this charter seemed a natural choice. The intention of the charter is for local business and organisations to commit to undertaking socially responsible activities which benefit both the employers and the local community and economy.